I had quite a bit of luck shopping these past few days. I purchased my second quilted Burberry jacket for only $35, a new little vintage Dooney & Bourke bag for $20 and a silk Fendi scarf for $22. I also want to share the gorgeous gifts my boyfriend got me for Valentine's day....a pair of Kate Spade earrings and my first pair of Manolo Blahniks, a pair of quilted ballerinas that I had wanted for quite some time, worth $675, mine for only $50!! It was very sweet and we had a lovely time. :) I owe him a date now, I think I'm going to take him to a Thai food place. :D He is either getting a pair of jeans or sneakers from me, or a watch. He hasn't quite decided what he wants yet, and I want to take him shopping! For Valentine's day, he bought me a pair of Kate Spade earrings I wanted. You may recall that I featured a couple of Kate Spade earrings in some of my Currently Coveting posts, but when I saw the other pairs in person, I didn't really like them. I already have pearl earrings and what I am looking for is a pair of big pearl vintage-looking earrings. The Kate Spade pearls were faux and the earrings were too small for the look I wanted, so my boyfriend got me the anchor earrings! I love anything nautical, so I love anchors. I got a new quilted Burberry jacket. I already have a black one and I really wanted a red one and blue one. Actually, I would love one in every color. LOL. They are so convenient for spring, fall, rainy weather, etc. This one was made in England, while my black one was made in Turkey. My black one has a slightly different design. The pockets have buttons too, but they're underneath the flaps because the pockets were open when I took the photo. 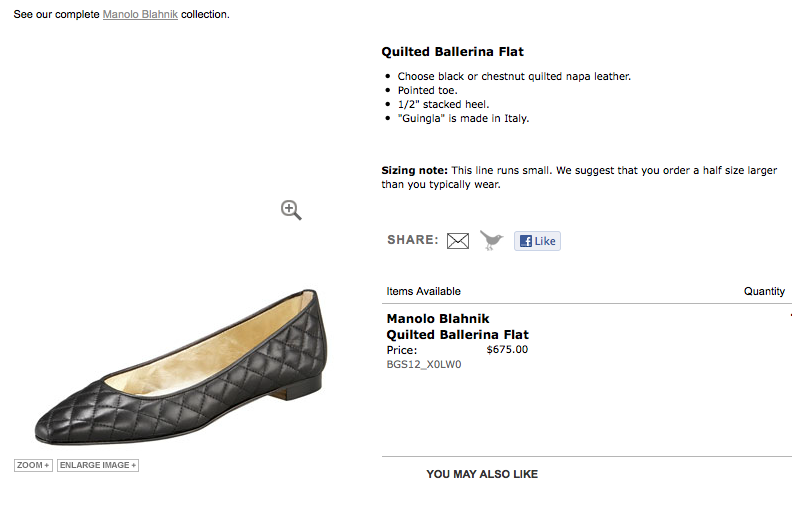 Moving on to another quilted beauty...my Manolos! I wanted these quilted ballerina flats for a while, but I wasn't about to shell out $675 for them, so I gave up on that haha. Imagine my surprise when I found them for $50!! They match my Chanel flap perfectly haha. People always ask me where I shop, and the truth is that I try to explore new neighborhoods and find new places. All of these things were purchased at different thrift stores. Your best bet is to just explore! I always try to look for new places when I have free time to explore the city. I feel like I get lucky quite a lot - there's really no secret haha. 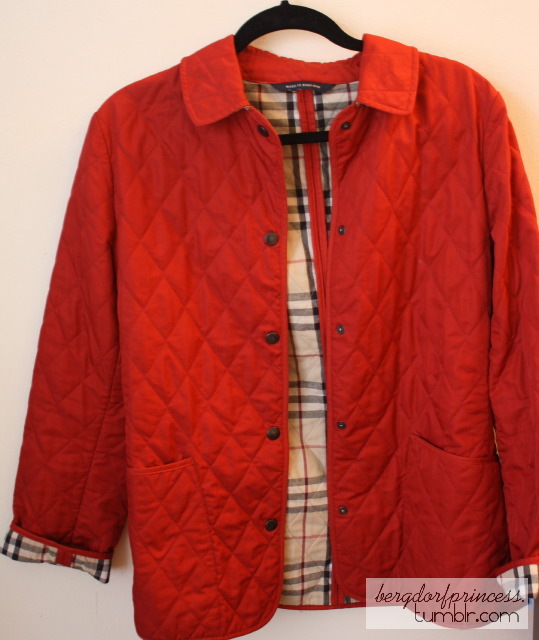 If I can find another quilted Burberry in a different color I will be super happy lol. I've already found black ones but I already have one, so that wouldn't make sense to buy. Kate spade jewelry is the cutest by far. Receiving a purchase from them soon in the mail!- the anchors are on my list to receive as well! Funny, our Valentine's dinner matched exactly. Even up to the beek negimaki. Have you gone to morimoto near Chelsea Market? Sigh, have to love japanese! hey how much was your burberry coat when you boat it? (no thirft)? You have true religion jacket one side of the edge, you will not forget true religion jean jacket true religion jeans make you stay,now is the time discount. I love thrifting! These are such wonderful finds! I have a similar quilted Burberry jacket which I bought at their sample sale quite a few years ago. It's one of my most used jacket to date. What are the odds of finding a pair of Manolos for only $50? Congratulations!